care and service for your chosen vehicle. Cummings of Bodmin has been supplying high quality new and used cars for clients nationwide for over 40 years. We are specialists in supplying low mileage and high specification Classic Cars. 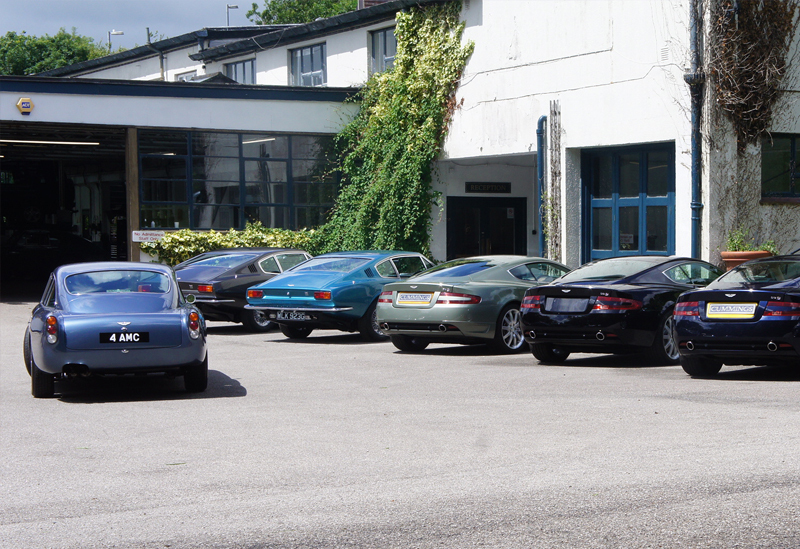 We have a particular interest in Aston Martin, Audi, BMW, Porsche, Ferrari, Land Rover, BMW and Mercedes-Benz. With decades of experience, we have sold some of the most iconic and beautiful cars in the world. We are not just suppliers of these wonderful cars, we are also classic car enthusiasts. Our team’s unrivalled knowledge on a vast array of classic marques bears testimony to their love of the automotive art forms that we offer for sale. If we do not hold your perfect car in stock, we have the ability to source it for you through our extensive global connections. Please feel free to contact us so that we can begin the search. We’re also always interested in buying your classic or collectible car or can offer to sell it on your behalf on a commission basis, in strict confidence. We have fully equipped workshops staffed with highly trained technicians. Our up to date range of diagnostic facilities for Merecedes Benz, BMW, VAG and Volvo will ensure that your car is serviced completely and efficiently and we are able to consider servicing all other makes and models.